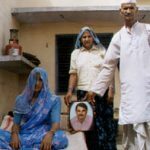 Hav Yashvir Singh Tomar hailed form from Sirsali, a Rajput village in Baghpat district of Uttar Pradesh, where pride and honor comes before death and defeat. The Tomars have a long tradition of serving the army and their tradition does not allow them to come back from the battlefield defeated. They must do or die. 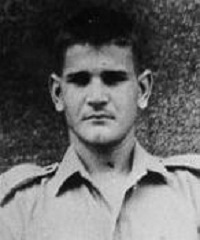 Hav Yashvir Singh Tomar was the eldest son of Girwar Singh Tomar and his younger brother, Harbir Singh was also serving in the army with 2nd Jat battalion. Hav Yashvir Singh belonged to the Rajputana Rifles and was serving with 2 Raj Rif during the Kargil war. 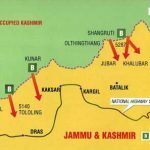 In the early days of May 1999, after patrols sent in the mountains of Tololing disappeared, 18 Grenadiers were given orders to evict the intruders. Tololing, a naked mountain, loomed large rising to 16000 feet, overlooking the town of Drass. With no cover, a single steep track led to the top zig zagging along a narrow path. There was absolutely no cover for climbing troops. From this vantage point, the enemy brought in heavy artillery fire on the National Highway NH 1A which was closest at this point. After several unsuccessful attempts a fresh battalion of 2nd Rajputana Rifles was brought in for the assault. The Grenadiers consolidated at 3 points, 300 metres below the Pakistani positions thus providing a foothold to launch the attack from. The 2nd Raputana Rifles meanwhile fired and tested weapons, carried on reconnaissance and mock assaults on nearby ridges. About 90 volunteers led by Major Vivek Gupta were assembled for the final assault. Among them were 11 Tomars and Hav Yashvir Singh Tomar was one of them. He said somberly “Sahib gyarah ja rahe hain aur gyarah jeet kar lautenge(Sir, 11 Tomars are going and 11 will return victorious)”. On 12 June 1999, at 1830 hours 120 artillery guns opened up on Tololing top. The Bofors 155 mm guns started first. Used in direct fire mode they targeted the bunkers. Within minutes they were followed by the 130 mm and 105 mm guns. Shell after shell slammed into the ridges. As the expected Pakistani counter bombardment started, the 155 mm guns switched to firing across the LOC at Pakistani gun positions located by the para commandos. The Pakistani guns were soon put out of action and were relegated to occasional shells. When ,close to midnight the firing stopped, Major Vivek Gupta led his men with the battle cry “Raja Ramchandra ki Jai”. There were 3 teams code names “Abhimanyu”, “Bheem” and “Arjun”. One went straight up. Another went around a lower ridge to cut off the enemy’s retreat and a third from behind. The Grenadiers provided covering fire against the Pakistanis on the nearby ridges. In spite of the artillery ,there were still strong pockets of Pakistani troops in natural caves beyond the effect of artillery. They now opened up with machine guns on the crawling Indian troops. The troops inched up using the craters caused by artillery for cover. In spite of the withering machine gun fire from the bunkers, troops had to crawl and use grenades to silence them. Back at the base the commanders were huddled around the wireless. However with the enemy at close quarters there was no time for communication. By 2.30 am desperation was setting in and in this situation Hav Yashvir Singh Tomar collected the grenades from the rest of the men. He then charged the last few bunkers. Getting there, he tossed in 18 grenades at the bunkers and silenced them . Hav Yashvir was martyred in this daring assault and his body was found with an assault rifle in one hand and grenade in the other. It was one of the most daring actions of the war. 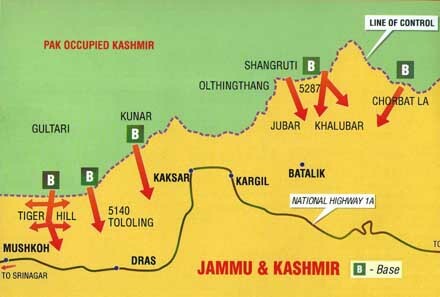 Tololing was won and it was the first major victory during the Kargil war. The daring action by Hav Yashvir Singh changed the course of the battle and paved the way for the Army to go for more decisive actions in the war. For his act of bravery in the battlefield, Hav Yashvir Singh Tomar was given the nation’s third highest gallantry award, “Vir Chakra”, posthumously. Hav Yashvir Singh is survived by his father Girwar singh, wife Manesh Devi and sons, Uday and Pankaj. 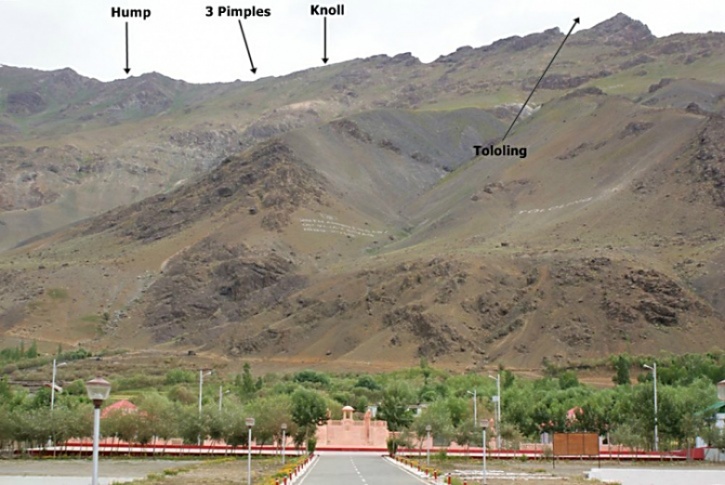 On June 12, there were 11 of them from Charlie company of 90 men whose mission was to capture Tololing Top, a crucial, well-defended peak. At 2:30 a.m. with desperation setting in, Hav Yashvir collected all the grenades of his men and charged the deadly bunker holding up victory. He got there and tossed 18 grenades and silenced the bunker. When Hav Yashvir’s body was found it had shots in the head and chest, grenade in one hand, assault rifle in the other. Tololing Top had fallen and it was certainly one of the most daring actions of the war. For this act of bravery in the battlefield Hav Yashvir Singh Tomar is awarded with Vir Chakra. In Sirsili they do not weep, even silently, for their dead. They smile instead. 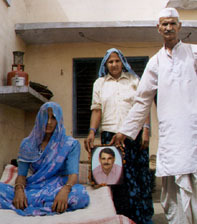 It is not easy, but in this Rajput village in Baghpat, Uttar Pradesh, pride and honour comes before death and defeat. You always be Saluted for your Indomitable Courage and Supreme Sacrifice to our Motherland.